We lived for many years looking at the west side of the Northern Sierra Nevada, so we've had lots of experience with mountain flying. It’s different, and it can present some unique challenges. For flatlanders it can be a humbling experience. 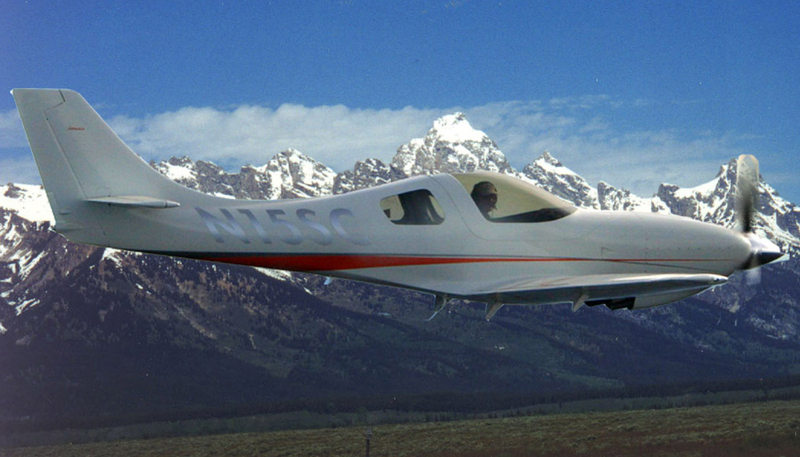 For starters, density altitude is real, and requires caution even in a mighty Lancair. My husband Steve and I started our flying careers learning to fly in an AirCoupe we bought for the purpose of getting our wings. We’ve looked at the bottom of power wires after take-off in Farmington, NM. But we’ve also flown into Jackson Hole in August...and even back out again. Flying an AirCoupe in high-elevation country, we were off the runway at first light–and burned one whole tank of fuel before we were down for the day. And we learned to find the oldest, most grizzled pilot on the field when we needed advice on how and where to cross near ranges before we attempted them. This usually entailed specific descriptions of landmarks to look for, including on one occasion, "the bear with the sore ear." What all that tells you is if we did it in an AirCoupe we know our Lancairs have enough power to do it too, but don't forget a helping of caution and proper planning. So even though the Lancair family as a rule usually has enough power for high density altitude, leaning is a must for take-off. Picking a go/no-go point prior to adding power is a really smart idea. Many instructors swear by the 50/70 rule; you should achieve 70% of your takeoff speed before using 50% of the runway. 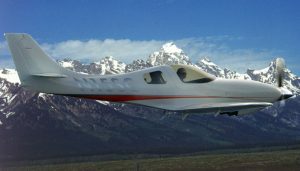 Reduced performance is not the only factor that will affect our planes at high altitudes. We’ve seen standing lenticulars five levels high from the deck of our house. You don’t fly over the mountains with those apparent. If there are no clouds to tell you what the winds are doing, only a good briefing–paying particular attention to winds aloft–will keep you out of harm's way. 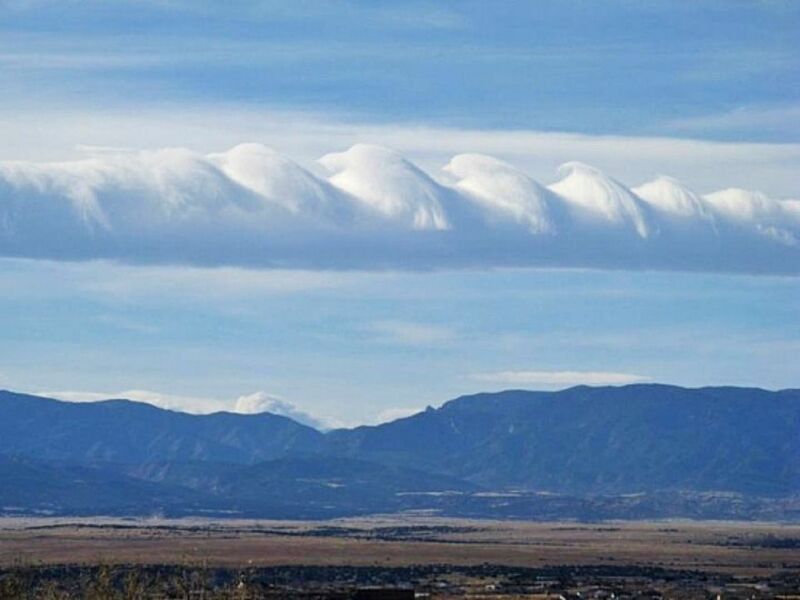 We’ve actually seen rotor clouds driving over the summit of the Sierras. There was just enough moisture to produce clouds–and low and behold–there they were, just like the textbook picture. Remember: winds rush uphill and spill over the downwind side. So downdrafts are another real factor...a strong one! Because the prevailing wind is off the Pacific, this nearly always means the wind is coming from west to east. On the other side of the Sierra Nevada is the Owens Valley–a nice shortcut to points southeast, and has a route that stays clear of the highly prevalent restricted airspace. We cross over due east of our California house, staying within glide range of Lake Tahoe (KTVL). Going to Oshkosh we would add a short distance, fly up to I-80 and follow it over the Sierra Nevada toward Reno. But if there is high wind over the peaks, the Owen Valley can feel like the inside of a washing machine unless you want to get above it all. Very possible...if you're willing to pay the penalty with an ever increasing crosswind. That’s when we opt to cross at a low southern elevation and fly on the west side of the Sierra range up the valley. If you haven’t been up close and personal with the high country take some time to do a little boning up before tackling America's high western peaks. And don't forget the old adage that says you fly in the mountains in the morning--unless you enjoy lots of turbulence which only increases with summer heating. Do it right and the reward for mountain flying is absolutely spectacular scenery. And with a little care in planning and prudent decision making you can do it safely in your Lancair.